Hey Tamari Davis, you just set won your first high school state championship and set a new 15-year-old world age group record in the process, what are you going to do next? 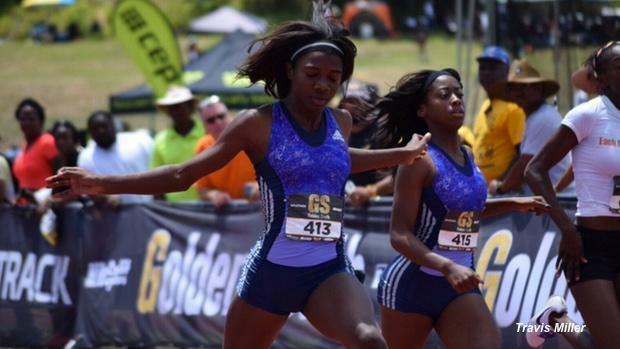 The Gainesville star who just posted a time of 22.48s told us in a post-race interview her next race would be at the 2018 Flo Golden South Classic. Her nation leading time, ranks 12th in the world regardless of age. Davis last raced at Golden South in 2016 as a 7th grader. She was 6th in the classic 100m dash field and was 5th in the class 200m dash. It's hard to believe in the prelims of both those races were one of her first times breaking 12s in the 100 and 24s in the 200. The freshman phenom is entered in the classic 100m dash which is shaping up to be amazing with the top ten seed times all under 12 seconds with names like LaSarah Hargrove (11.66), Jordan Sales (11.74), Kaytie Black (11.77), and Jacious Sears (11.80), set to push each other to new personal bests and nationally ranked marks. According, to Davis' coach Gary Evans, they are also in the works in putting together an all-star 4x1 and 4x4 relay with Davis on it. Think you have what it takes to beat Tamari Davis and the rest of the field? Want to make your mark on Golden South History?